Vanakkam, everyone! In conjunction with Diwali celebrations, we have many activities in store for you! 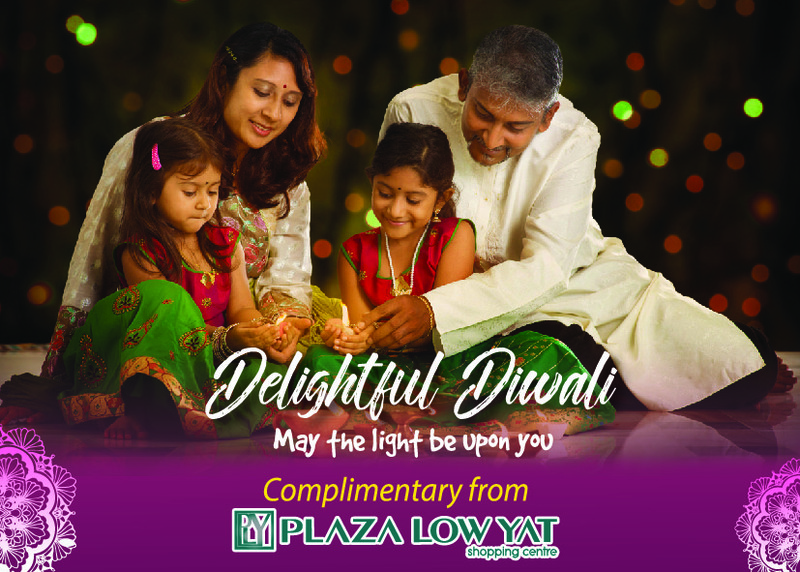 From 22nd October till 6th November, you may redeem our exclusive Plaza Low Yat Candle Holder, with a minimum spend of RM100.00 at any F&B and non-IT outlets; or RM250.00 at any IT-related outlets at Plaza Low Yat, bbpark, Federal Hotel Arcade, Federal Hotel and Capitol Hotel! Also on the weekends, we have arranged Diwali-themed dance performances for you! 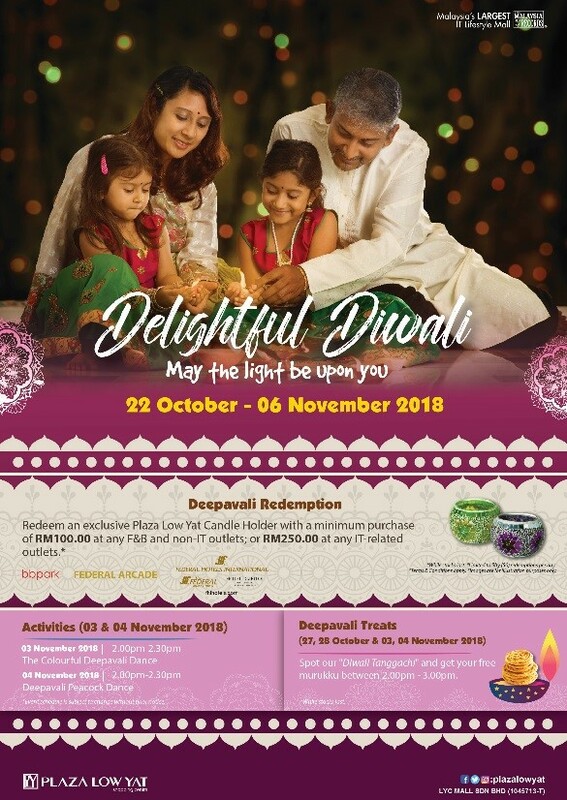 On Saturday, 3rd November we have “The Colourful Deepavali Dance” and the “Deepavali Peacock Dance” on Sunday, 4th November 2018. Both dance performances will be happening at the Main Entrance of Plaza Low Yat at 2.00pm. Event schedule is subject to change without prior notice. What’s Deepavali without munching on murukku? Spot out our “Diwali Tanggachi” roaming around our mall from 2.00pm till 3.00pm and get your free murukku! While stocks last. Don’t forget to take photos of our kolam located near the Main Entrance of Plaza Low Yat and share the memories with us! Remember to LIKE, SHARE and FOLLOW our Facebook page, Instagram and Twitter for more updates and info on upcoming events, activities, giveaways and many more! May The Light Be Upon You!